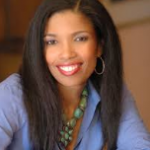 Areva Martin, Esq. is insightful, poignant, captivating and passionate. She is America’s go-to expert, host and commentator on compelling legal, political, women’s, children’s and celebrity issues. She is America’s Advocate seen on The Doctors, Dr. Phil, CNN, MSNBC, ABC World News Tonight, Access Hollywood and more. 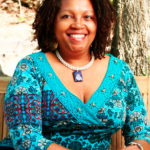 Recognized as one of the nation’s leading advocates for autism, Areva is the author of an Amazon best- selling book, The Everyday Advocate: Standing Up for Your Child with Autism and Other Special Needs. (Penguin 2010). After her son’s diagnosis with autism, she created Special Needs Network, Inc., a grassroots nonprofit to assist families raising kids on the autism spectrum. From the courtroom to the statehouse, she is a fighter for kids with disabilities and their families. 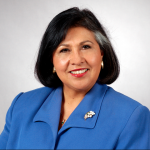 Gloria Molina was first elected to office in 1982 as State Assemblywoman for the 56th District. In 1987, she was elected to the Los Angeles City Council where she served as the Councilwoman of the First District until 1991. From 1991 – 2014 she served as one of the Los Angeles County Board of Supervisors, representing the First Supervisorial District. Molina is the first Latina in history to be elected to the California State Legislature, the Los Angeles City Council, and the Los Angeles County Board of Supervisors. Prior to being elected to public office, Molina served in the Carter White House as a Deputy for Presidential Personnel. After leaving the White House, she served in San Francisco as a Deputy Director for the Department of Health and Human Services. One of Molina’s significant achievements was her involvement with the Mothers of East Los Angeles, a group formed to organize against a proposed plan to build a prison in East LA. As city councilwoman, she found government unresponsive to her concerns of yet another proposal to build a prison near schools in the predominantly Chicano and Mexican neighborhood. In April 2006, Molina was honored as the “Hispanic Business Woman of the Year” by Hispanic Business magazine. Joanne Lara – Executive Director, Autism Works Now & Autism Movement Therapy. Joanne Lara has dedicated her life’s work to improving the lives of individuals with autism. Her advocacy led to founding the nonprofit Autism Movement Therapy®, the recipient of three Autism Speaks grants, home based in LA. AMT lectures, certifies, trains, and licenses dancers, educators, parents, and professional service providers across the US, Canada, India, Malaysia, South America, UK, Italy, Wales, China and Kuwait in the role that movement/music plays as an evidence based intervention. 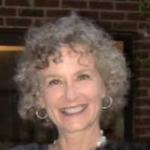 Joanne is a core adjunct professor at National University in Woodland Hills. She was the Autism Consultant for Kiefer Sutherland’s FOX TV show Touch. Lara produced the doc on PBS Generation A: Portraits of Autism and the ARTS w/ Temple Grandin. A columnist for Autism Asperger’s Digest she wrote Autism Movement Therapy® Method: Waking up the Brain! for Jessica Kingsley Publishers, London and co-authored Teaching Pre-Employment Skills to 14-17 Year Olds: Autism Works Now! In 2018 Autism Works Now’s “Glorious Pie Truck” hit the road, providing jobs for adults on the Autism Spectrum. 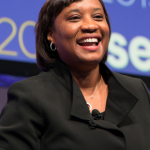 Laphonza Butler – President at SEIU Local 2015. 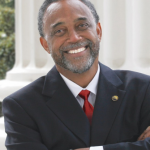 Butler is Experienced President with a demonstrated history of working in the non-profit organization management industry. Skilled in Nonprofit Organizations, Budgeting, Political Strategy, Government, and Public Speaking. 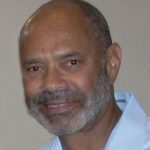 Strong business development professional with a Bachelor of Arts (BA) focused in Political Science and Government from Jackson State University. Lori Ireland & husband Gregg are the founders of The Ireland Family Foundation who’s mission is to support Autism research and direct services for adults on the Autism spectrum. The Irelands have also created Extraordinary Ventures, based in the university town of Chapel Hill, NC. Extraordinary Ventures, Inc. (EV) began in 2007 with seed money from local parents of children with autism who were reaching adulthood, EV was founded to meet a significant challenge facing communities across the country: how to train and employ the increasing number of young adults who are “aging out” of public school and are no longer able to access existing services. Today, EV employs a workforce of these young adults, demonstrating what can happen when families reject the notion that their children are not capable of keeping a job or doing meaningful work. Further, EV is unique in that it relies on energetic, entrepreneurial recent college graduates to run the organization, assess community needs that can be filled, and then start and manage these businesses – or “ventures” – designed to embody the skills and interests of the individual employees. To date, a full-time staff of five social entrepreneurs manages a portfolio of small businesses, each designed to be self- sustaining. 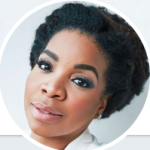 Mary Bailey is Co-Founder & Executive Producer at Chase ‘N Yur Face Media, Co-Founder & President of Chase Yur Dreams Foundation, & a Contributing writer for Huff Post on the subjects of parenting, autism, and diversity & inclusion related topics. Mary’s teenage son Chase Bailey was diagnosed with autism at the age of 2. Together they have been keynote speakers for special events; featured in radio, magazine interviews & newspapers worldwide; & on The Chew & The Meredith Vieira Show, where they have shared their journey to success with autism. In 2017, Mary and Chase received the Legacy Inspiration Award and the Legacy Champion Award for their work within the autism community. 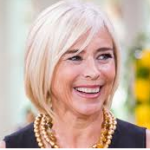 Mary is the Executive Producer & Co-Creator of the YouTube cooking show, Chase ‘N Yur Face, which is hosted by Chase & features celebrity chefs such as Chef Roy Choi, MasterChef Semi-Finalist Becky Reams; & other food enthusiasts like actress Fuchsia Sumner & Choc Chick Founder Galia Orme. Currently, Chase ‘N Yur Face Media is working to expand the show and bring it to television in 2018. In 2016, Chase ‘N Yur Face Media published The Official Chase ‘N Yur Face Cookbook, which has won 2 Foreword Indie Awards for Author of the Year and Honorable Mention for Book of the Year, both in the young adult non-fiction categories. A portion of the proceeds from the cookbook sales goes to the Chase Yur Dreams Foundation, which was established in 2016 to help those with autism obtain the assistance they need to live as independently as possible. 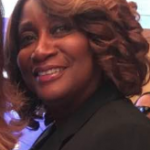 Prior to launching into the entrepreneurial, culinary, & entertainment worlds in support of her son’s gifts & ambitions, Mary spent over 20 years in corporate-client relations & corporate management; & volunteered her time as an Educational Court Appointed Advocate & CASA Court Appointed Special Advocate. 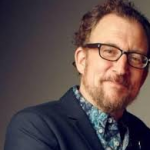 Matt Asner is the National Vice President of Development.for the National Autism Society. Based in Southern California, Asner is responsible for oversight and direction of all fundraising efforts including corporate national campaigns and other ongoing fundraising efforts on local levels. He was an instrumental force in the creation of AutFest the first International Film Festival dedicated to increasing Autism Awareness. He joined Autism Society in 2016 after a six-year tenure with Autism Speaks, serving first as the Executive Director of its Southern California operations, and then as Director of Corporate Development. Prior to his work with Autism Speaks, he was a successful producer of film and television. The son of actor and autism activist Ed Asner, Matt is the proud father of six children, three on the autism spectrum. 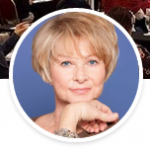 Nancy Alspaugh-Jackson is an Emmy award-winning, former national television producer and executive who pioneered the magazine program format with Westinghouse’s PM Magazine. 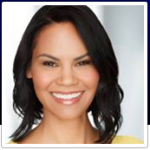 After serving as Vice-President of Group W Productions, she served as executive producer for a number of network and nationally syndicated programs, including the long-running NBC talk show, LEEZA. She co-authored Not Your Mother’s Midlife: A Ten Step guide to Fearless Aging (Andrews McMeel) and Fearless Women: Midlife Portraits (Stewart, Tabori & Chang). Alspaugh-Jackson feels her most important assignment came after her adopted son Wyatt was diagnosed with autism at the age of three With that in mind she became the Executive Director of ACT Today! (Autism Care and Treatment Today! ), a national non-profit organization whose mission is to provide resources and fund grants for children whose families cannot afford the necessary tools their child needs to reach their full potential. She has raised more than $5 million dollars for autism care and treatment, and launched the first national campaign for military children with autism, ACT Today! for Military Families.